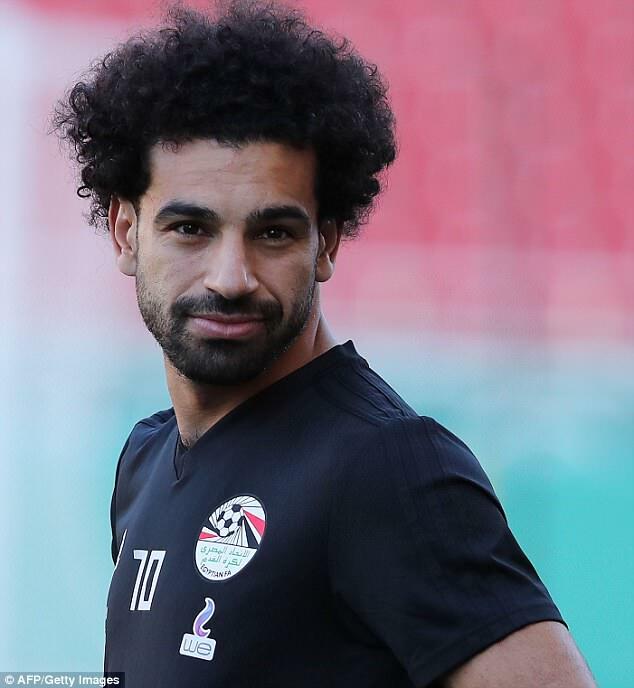 Egypt’s FA president Hany Abo Rida has denied claims that Mohamed Salah could leave the World Cup early amid rumours of a rift in the national camp. Salah played no part in the 1-0 defeat against Uruguay due to concerns over his injured shoulder, but managed to score a consolation from the spot against the tournament hosts despite clearly not being fully fit. Reports surfaced this week that the Liverpool star will head home early and miss Egypt’s final group game against Saudi Arabia – who have also been eliminated. 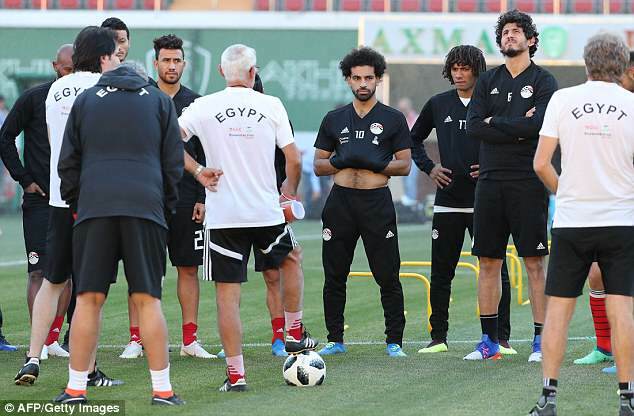 However, Abo Rida moved quickly on Friday to dismiss those suggestions, insisting there is no rift between the players and that Salah will be available for the dead rubber next week. ‘I have no idea about Liverpool,’ the EFA boss told reporters. ‘But we have our captain Mohamed Salah and under the rules FIFA requires him to be inside his camp and requires him to stay with his team. ‘He is happy to mingle with his team-mates and he was shocked by what the press has written about him and denied it all on social media. Salah took part in national training on Thursday as normal and no divide between the players was apparent. Egypt can avoid the ignominy of finishing bottom of the group if they win Monday’s clash at the Volgograd Arena.